Read for FREE if you have Kindle unlimited, or simply borrow the digital book. If you want a print copy, get it at Amazon or click on the books on the side panel. 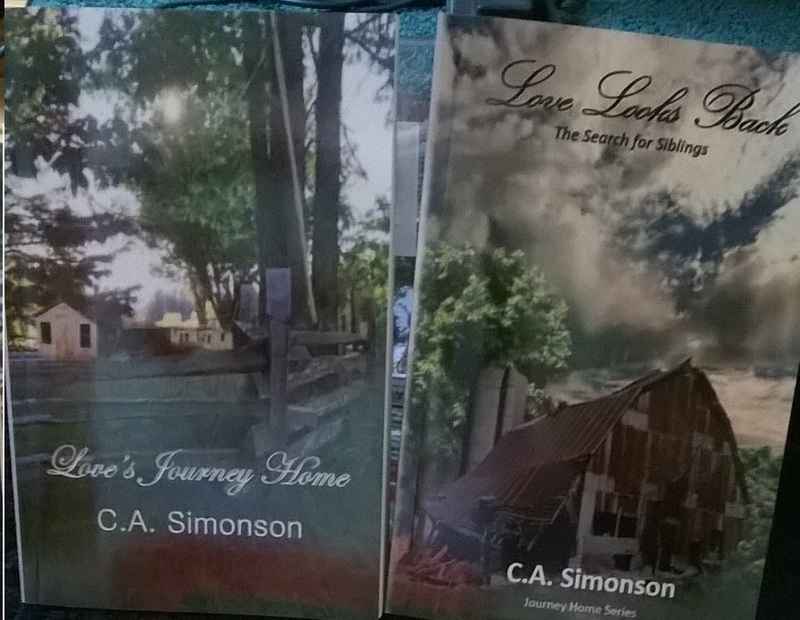 : Having Candy Simonson for my pastor’s wife,it doesn’t surprise me to see her books in print. Having the pleasure of having her as my mentor as well.Having read the “Journey Home” trilogy they are/were so true to life during the time frame in these stories. In Simonson’s unique style, bringing to life issues hidden and buried she addresses, death of a loved one that brings with it alcoholism, separation of family,orphanage life,sexual abuse and still creates a family discovering “Love’s Amazing Grace” together in a beautiful story that you are sure to enjoy. I’m so proud of you, Candy Simonson! Thank you so much, Tina. Your comments mean a lot, and I’m thrilled that you liked the books.